Let us take care of your pest problem before it affects your income. 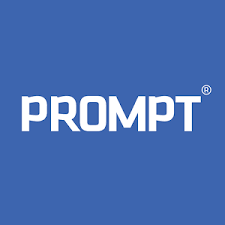 Your Health and Safety is important to us. 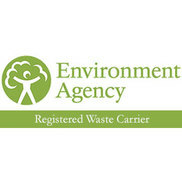 Working with highly toxic insecticides and rodenticides is hazardous and the following points have been set out as guidelines by All Aspects Pest Control to ensure we follow safe working practices which are aimed to protect the health and safety of our staff, our customers, the general public and our native wildlife. 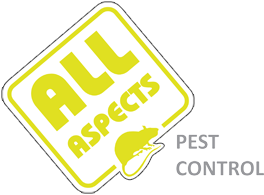 All Aspects Pest Control is fully committed to operating in a safe and sustainable manner when carrying out its duties in dealing with all mammals; whether rats, mice, squirrel and rabbit infestations in Reading, Bracknell, Maidenhead and throughout Berkshire. 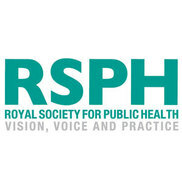 We have signed up to a National scheme and passed qualifications in the safe usage of rat and mouse poisons known as rodenticide. 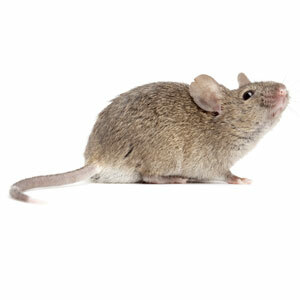 It is our commitment that we will only use the minimum amount of rodenticide needed to rid you of your rat or mouse problem, we will be especially mindful of the effects of rodenticide on non-target species and we will operate in an ethical manner when applying poisons for rats and mice. There has been clear evidence that many of our key wildlife species such as barn owls, kestrels, kites, stoats and even hedgehogs are exposed to anticoagulants which are the main ingredients found in rat and mice poison; making them one of the most widely distributed contaminants affecting British wildlife today. 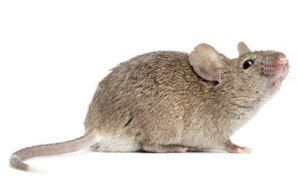 All Aspects Pest Control is committed to the responsible use of rat and mice poison, we use an Integrated Pest Management programme following the protocols laid down by the Campaign for Responsible Rodenticide Control in our approach to rat and mice control and protection for non-target species. Where ever possible we use humane break-back traps which are authorised for use and deliver a quick kill to rats, mice and squirrels; we do not advocate the use of either sticky traps or drowning traps for rats and mice as these are both unethical methods and their use maybe subject to prosecution. We use aluminium phosphide in the treatment of rabbits and hold qualifications for its safe use. Approximately one third of all the food we eat is dependent on pollination at some period in its growth cycle; bees are the main provider of that pollination and are essential to our survival. We at All Aspects Pest Control will never target any species of bumblebee, honeybee or masonry bee with insecticide; as an alternative we can give advice on how best to live alongside your new found friends or in the case of honeybee's arrange to relocate the Queen and nest for you. We work closely with the Reading & District Bee Keepers Association who operate a service to collect honeybee swarms, there is no charge for this service and protects the honeybee colony which may be quite valuable. Bumblebee numbers are nationally in a sharp decline, it is estimated that they "earn" the UK economy around £400 million pounds a year through fertilising crops naturally, we would direct all interested parties to the Bumblebee Conservation Trust to see what difference that you can make , WE will not target bumblebee species with insecticide. Many pest control companies do treat bee's and you have to ask why = they can charge for the service; bumblebees' rarely sting and actually do so only if provoked or accidentally crushed between an item of clothing and skin. Bees' like the masonry bee which can often be seen burrowing into a warm south facing wall have such a short stinger it cannot penetrate human skin. Bumblebees’ unlike wasps have a very determined lifecycle and their presence is only temporary, once the Queen Bee dies the drones will disperse and continue to live through the summer feeding on nectar from flowers until the cold of winter kills them off. 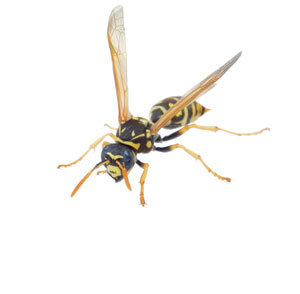 Wasps live in large colonies housed in a paper nest, which can number at the height of summer around 15,000; the Queen Wasp controls the colony with pheromones and they are highly organised, wasps are extremely efficient at depleting insect populations and can be beneficial that way. 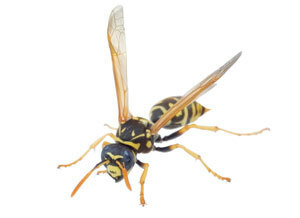 When the Queen dies the pheromone control breaks down and the colony begins to disperse, however, unlike bee's the wasps' source of food has now gone and the starving wasps begin to act aggressively, stings from wasps pose a significant hazard to you and your family. 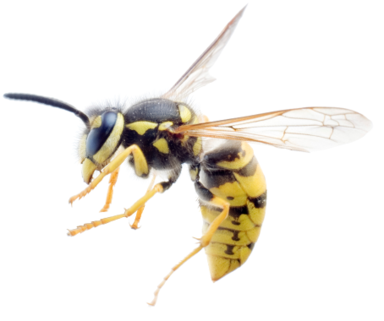 Therefore in Reading, Bracknell, Maidenhead and throughout Berkshire, All Aspects Pest Control will guarantee our treatment to exterminate your wasp problem.